Discover a region of Italy like no other when you visit Abruzzo or Le Marche. Lying on the Adriatic Sea coastline, with mountains, historical buildings are much more to explore, these lesser-known regions are gems of Italy, and the perfect place to spend a holiday with family and friends. Lose yourself in the beauty and culture of Italy while tucking into some delicious regional delicacies. 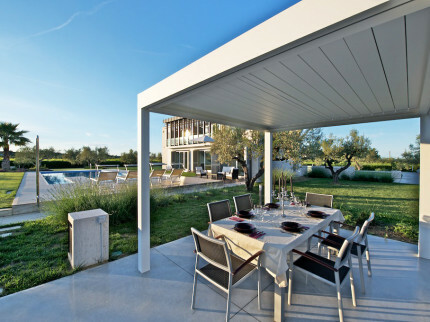 Our stunning villas in Abruzzo and Le Marche offer all the amenities you could need such as TV, WiFi, private pool, parking and a cook and babysitter available upon request. Modern yet homely, our villas are family friendly and located near several tourist highlights of the region. 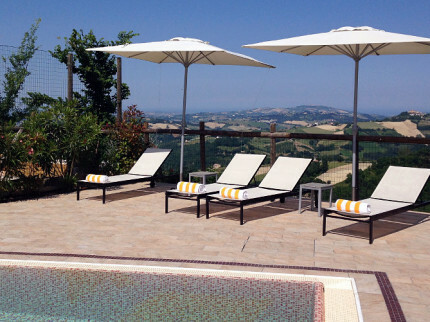 Stunning villa immersed in beautiful gardens, olive groves and vineyards in the heart of this unspoilt corner of Abruzzo, and just 10 kilometres from the coast. 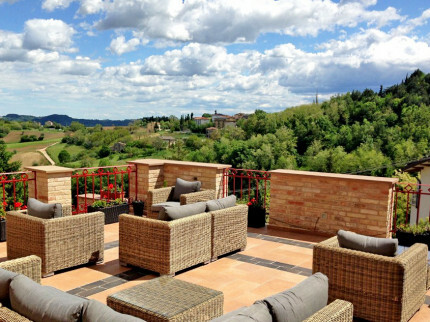 Indulge yourselves in some real luxury by renting Hotel Leone exclusively, located in a beautiful historic palazzo in the tiny medieval hamlet of Montelparo.